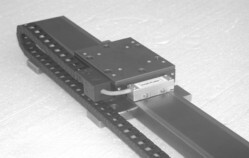 Linear ServoStepTM system for IntelLiDrives motors represents a new paradigm in linear motor performance and cost. Powered by DSP-based digital servo controllers with advanced motion control algorithms, I-DrivesTM provide high speed and precise positioning capabilities previously available with much costlier linear brushless motors. 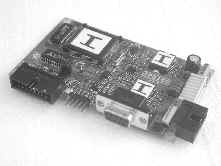 Credit card sized (2.5" x 3") I-Drive-503 delivers 40"/sec and 2G acceleration with only 40VDC motor power supply ! 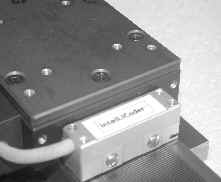 Tape-less position feedback system, IntelLiCoderTM , references the motor platen surface, providing the feedback for the motor operation with sub-micron resolution for positioning and closed servo loop operation as a brushless motor with improved dynamic performance.